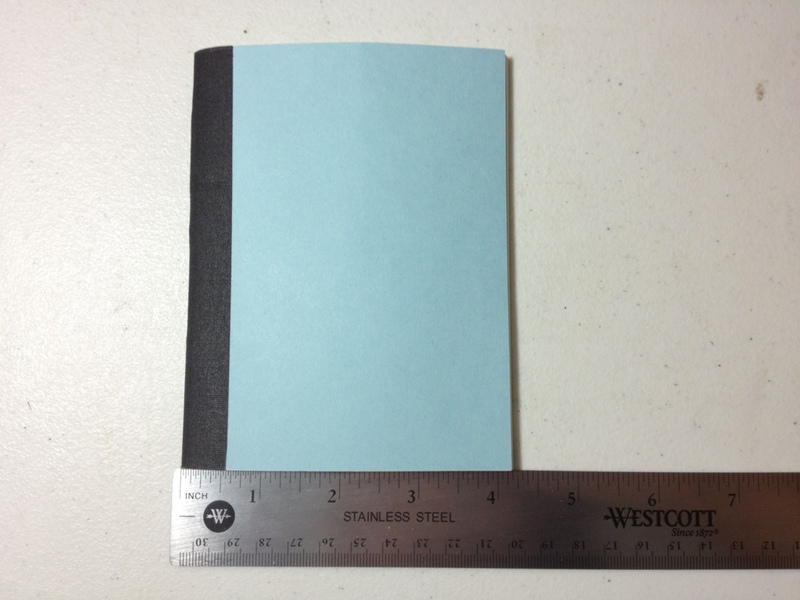 The cover is made of a light blue card stock. It’s tough and can take a beating. 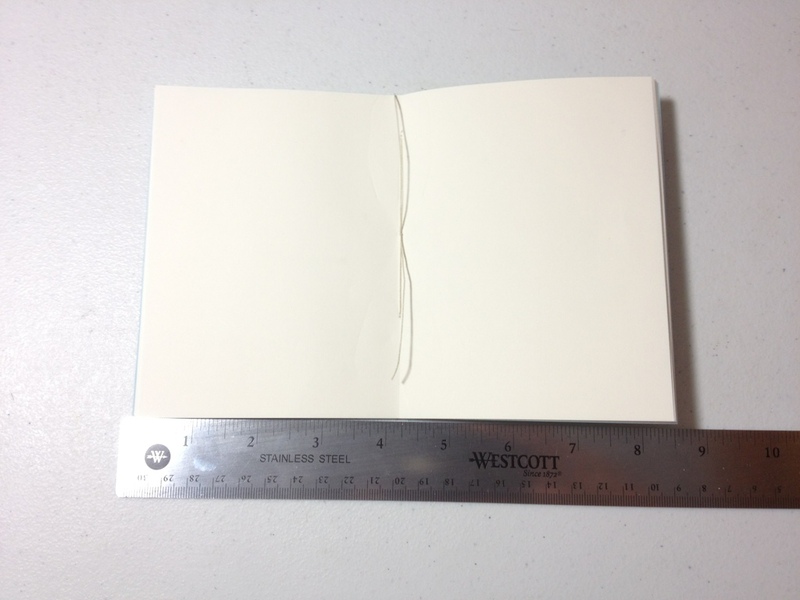 Inside are twenty-two thin paper sheets. Despite being thin, they too are tough. They are slick and resist ink. It takes it a moment for the ink to dry, but they rarely bleed through and only when one keeps applying ink to the same location over and over. Their slickness makes them wonderful to write on and they have just enough grit to be alright for sketching as well. They’re about as tall as most pocket books, but a little wider. They do require a hard surface to write on. They fit well in larger pockets, and handbags, backpacks and such. These books are great for taking everywhere to take notes on, write down ideas, or write lists on. They are just like the regular limn books only smaller. They have the same nice feel and are still incredibly sturdy. They do lend themselves more to writing than to drawing though, but is still an all around, versatile book.